We are proud to offer two levels of oils to you giving you the ability to find the quality and the price that best fits you. 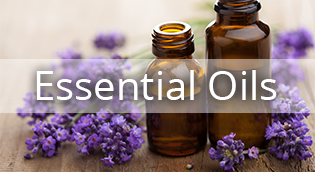 Essential oils have many levels and qualities and there will be a brief explanation with each that we currently offer. These are our lowest quality oils that are synthetic blends with little to no actual essential oil. If you are looking for aromatic, fragrant uses such as perfume, oil diffusers, scent pads, and other simple uses these are the oils for you. We have 36 different fragrances and all are only $3. After much research, we are proud to offer this wonderful line of essential oils. These are our high end internal essential oils that are wonderfully equipped with Euro dropper tops. These are 100% pure essential oils that are ethically or organically grown. They are able to be used for all of the above uses plus any internal uses. We have a nice selection of different essential oils, and roll on synergistic blends ranging from $5 - $18.